The Supreme Court Thursday imposed a fine of Rs 20 lakh on the West Bengal government for ‘virtually banning’ the public screening of the film, Bhobishyoter Bhoot, a socio-political satire directed by Anik Dutt. According to reports, Bhobishyoter Bhoot was pulled off from Kolkata theatres the day after it was released on February 15. 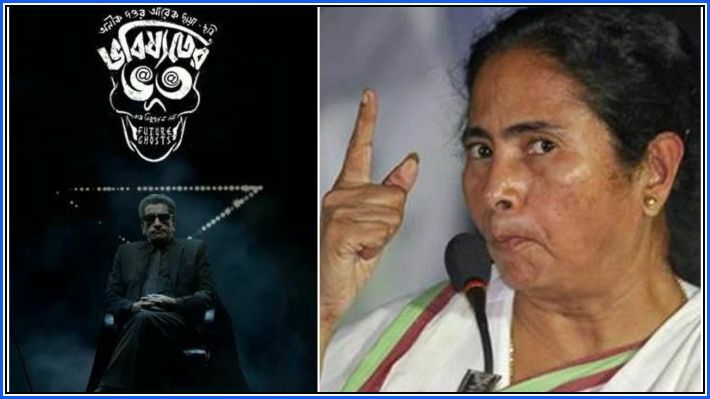 The movie had been taken out from the theatres allegedly for taking a dig at West Bengal Chief Minister Mamata Banerjee. A bench headed by Justice DY Chandrachud, hearing the plea of the film producer, said the fine amount of Rs 20 lakh shall be given to producers and cinema hall owners as compensation for violation of their right to freedom of speech and expression. The producer of Bhobishyoter Bhoot had alleged that the movie was taken down from a majority of theatres at the behest of the state authorities. On March 15, the apex court had directed the Mamata Banerjee government to ensure that not any kind of restraint was imposed on the screening of the movie. The director of the movie had then alleged that single-screen theatre owners and multiplexes were forced to stop the screening in more than 40 screens across the state. The banning of the movie was followed by a protest where several film artists and activists had on February 18 registered a sit-in protest against the withdrawal of director Anik Dutta’s film “Bhobishyoter Bhoot” (Ghost of the Future) from almost all multiplexes and single screen theatres in West Bengal. Veteran artist Soumitra Chatterjee has written a letter, calling the taking off of the film ‘vindictive’ and ‘undemocratic’, and a “fascist policy”. Expressing shock, Chatterjee in his letter has said it was a ‘vindictive act’ of the administration. The movie Bhobishyoter Bhoot has been facing severe controversy since the inception of the idea. The director of the movie Anik Dutta and co-producer Indira Unninayar had claimed of receiving threats recently. Anik Dutta in the past had criticised the ‘excessive’ use of Chief Minister Mamata Banerjee’s posters in and around the film fest venues and had argued that the film personalities should get more limelight during such events. Mamata Banerjee usually can’t handle criticisms too well. There have been several incidences where Chief Minister Mamata Banerjee has tried to stifle dissenting voices. Recently, an author of a novel critical of WB CM Mamata Banerjee had alleged harassment during her book launch at Kolkata. Prior to that, a man hailing from Tripura’s Dhalai district was arrested for allegedly making derogatory remarks against West Bengal Chief Minister Mamata Banerjee in a social media post. She had even banned a book by 1981 batch IPS officer Nazrul Islam which was critical of Mamata government not delivering what was promised. Mamata’ list of intolerance is self-perpetuating.